Ok, so last Grace Upon Grace link up, I said that I was up late reading Divergent. I am here today, to tell you, that I have finished the series and am STILL so upset! I won't say any more, in case others haven't finished the whole series, but other than I finished the book days ago and STILL AM UPSET! 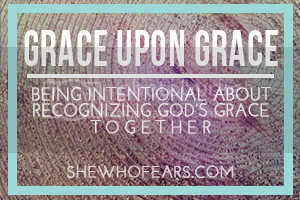 Anyway, moving on to this week's Grace upon Grace linkup! Y'all, I adore this link up! 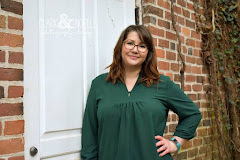 Check out what Jordyn has to say about it, from her blog She Who Fears, " I may be biased but Grace Upon Grace is my fave linkup out of all of the linkups in the land, and since it's that time again, I am really just excited about today. If you haven't been here before, Grace Upon Grace is a linkup that takes place every other Monday where us bloggers come together and share the ways that God is doing big things in our lives. The small community of grateful women that it has created encourages me every single day and I would love for you to be a part this week!" + One: Family. God has been really throwing family all around me, and I am so grateful for that. I know that we don't live in the same town, but through technology, I can chat with them as much as I want, and I love that! I love when I get a random text, or a facetime call so I can get the nieces and nephews all riled up! +Two: Friends. Same applies as point One, I love that I can facetime and text them, and we are always apart of each other's lives. It's amazing! And I'm so grateful that He put such amazing friends in my life. I know I talked here about if your circles friendships are beneficial, but I really think I have my circles sorted out now and I'm happy about it! Also, I love my bloggie friends. Even though we may only connect through our blogs and emails, it still means a lot to me when someone takes the time out of their day to leave a comment or drop me an email. I heart you guys! +Three: So grateful for an open heart. God has shown me exactly what I needed to see lately. A couple weeks ago, I contemplated the direction my blog was heading. I didn't necessarily want to write all faith based posts, because I love arts and crafts too much to stop sharing that type of stuff, but I just was a little restless with the whole thing. I prayed daily for God to just direct me and use me in whatever way he wanted. Then Aimee came to me about leading the Prayerful Bloggers group and it was like, "WHOA, Ok God, I've got this!" type of moments. I just keep praying he gives me the right words and actions for this group of amazing folks! +Four: God's grace shows no bounds when it comes to my Mr. He and I are a bit opposite. While he is very logical and technical, I am a free spirit and shoot from the hip, but we fit perfectly. What I lack, he has, and vice versa. I'm so happy that God threw him in my life! I seriously would not know how to get through the hard days without this man! Ok, ok, enough mushy stuff! If you haven't checked out our Prayerful Bloggers group, please do so! We are most active on our Facebook page, found here, but I would LOVEEEEEEE for you to sign up on the website as well! I just want to uplift and encourage every single person God has put in my path, and if that means you, then welcome! I can't wait to meet you! And that's all! I LOVE LOVE LOVE this link up! You guys need to slap down 4 points that God is showing grace to you and link up ASAP! Jordyn keeps this link open for 7 days, so you have 6 more days to post & link up! You won't regret it! Come on in... Make Yourself At Home! FBF AND European Tour, Day 10 Venice to Roma!